The Washington Post reporter provides a rare perspective on some of the world’s dangerous people and places. “Democracy Dies in Darkness” is the motto that began to appear on the masthead of The Washington Post in February. It is a short sentence that carries a lot of weight and tells volumes about the role of journalism in the complexity of today’s world. 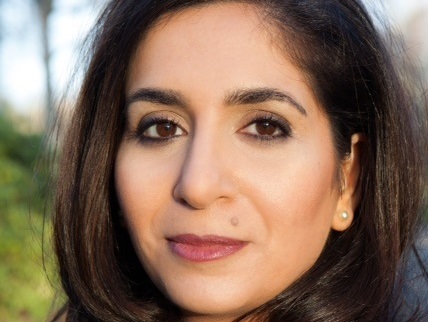 One of the newspaper industry’s brightest lights is Souad Mekhennet, a female Muslim journalist who travels to the depths of some of the darkest places on Earth — jihadi outposts — to get the stories of those who radicalize Islam for political gain. In her new book, “I Was Told to Come Alone: My Journey Behind the Lines of Jihad,” Mekhennet describes her pursuit of truth as she interviews Islamic State operatives who are notorious for kidnapping, holding and executing journalists. Her sacrifices and courage in navigating this dangerous work are unparalleled. 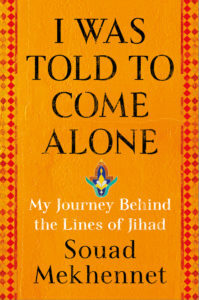 Her ability to bring insight and understanding to her readers about jihadi ideology directly from the sources has been recognized as invaluable, and she is slated to be the first Muslim journalist to receive the Daniel Pearl Award from the Chicago Journalists Association on Nov. 10, nine days before she speaks at the Book Festival of the Marcus Jewish Community Center. Mekhennet is the product of what Thomas Friedman called the “World Is Flat” generation. Born in 1978 in West Germany to a father from Morocco and a mother from Turkey, both migrant workers invited to help rebuild the German economy and fill blue-collar jobs, she is an amalgamation of cultures, languages, dialects and religions. Her mother is Shia, while her father is Sunni, and the family’s migrant-worker status in Germany shaped their lives in a way that has allowed Mekhennet to understand the vulnerabilities of the radicalization of Muslim youth in Europe. Raised by her grandmother in Morocco because her parents worked too much to take care of a small child, Mekhennet learned the Koran and soaked up the North African culture. Back in Germany, she had to adapt to the realities of being “other.” While she talks about the prejudice against Muslim and non-European migrant workers in Europe, she also describes her childhood encounters with Germans who became like family and a relationship with Jewish neighbors who were Holocaust survivors and influenced the trajectory of her life choices. She remembers that when neo-Nazis brutally murdered a Turkish grandmother and two children in 1992, the Jewish community was the most outspoken against the hate crime, while German politicians stayed silent. While other German teenagers might have had posters of pop stars on their walls, Mekhennet pinned a picture of Bob Woodward and Carl Bernstein, the Washington Post journalists famous for their investigative reporting on Watergate. She believed from a young age that journalism can change lives. But in Germany the profession was reserved for “German Germans,” not children of blue-collar migrant workers. Sept. 11 was a pivotal moment for Mekhennet, as her ability to speak Arabic and her tenacious will to get the story were met with sudden interest in understanding the mindset of jihadis. In her book, she describes meeting a 9/11 widow who expressed her anger that the media had failed the American people by not talking about people around the world who hated us. She was invited to work for The Washington Post, where she followed her intuition and knowledge with laser focus while making connections and staying culturally adaptive as she encountered treacherous situations in war zones. On multiple occasions, she documents confrontations that could have ended in her imprisonment or death. Mekhennet is soft-spoken and bright. She does not possess superhuman powers, but when reading her story or listening to her, you find yourself in awe of this extraordinary human being. Her message is simple: Build bridges, and you could change the course of history. Thank you for this excellent article -will get her book ASAP and hope to attend her upcoming talk. I have much admiration and appreciation for journalists who seek to write about truth at personal risk to themselves. As I began to read your piece, I thought of Daniel Pearl and his bravery and passion as an investigative journalist. A few sentences later, I read that Ms Mekhennet will fittingly receive an award for the foundation created in Daniel Pealr’s memory.